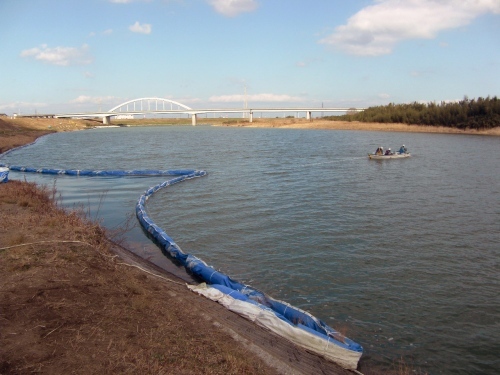 Silt Fence - Products - HAKUSHO Co.,Ltd. Rivers and the sea – environment – we’ve been close to familiar in recent years, is being destroyed. 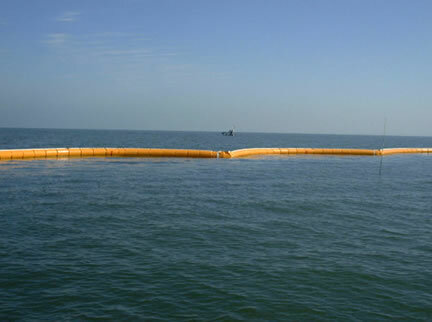 Silt fence (Pollution prevention film, silt protector) to prevent pollution in coastal construction and river works. This will help to protect the natural environment. HAKUSHO Co.,Ltd. is providing a stockyard around, we are thorough maintenance. 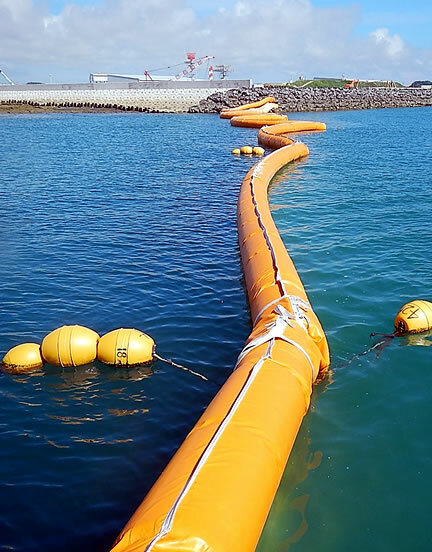 In addition, we will promptly prepared and submitted written preliminary survey and investigation, We have been poised all possible in the design of special specifications. 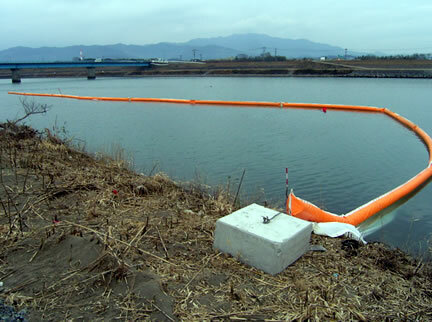 Silt fence is used in construction, such as the following. 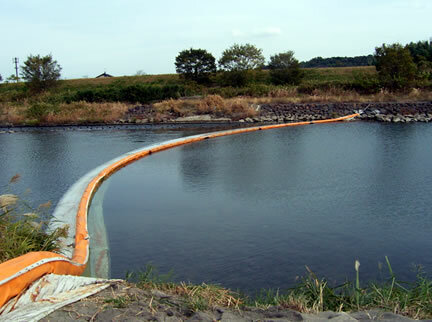 SILT FENCE (silt fences) to prevent the spread of contamination that occurs in civil engineering work in road, dam, rivers and oceans. Particulate pollution is retained by the curtain, natural sedimentation of the particles will be promoted, contamination is not spreading. it needs a separate design. 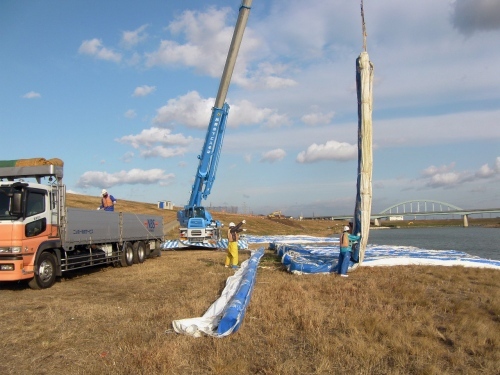 Silt fence is carried in a state of almost complete span one or a few. 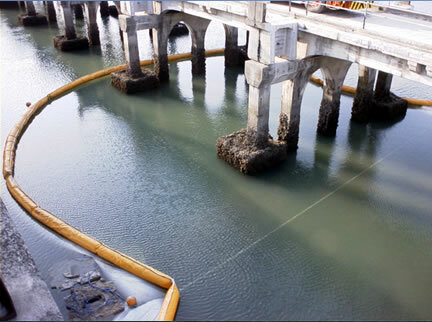 Therefore, after the loading dock work is greatly reduced. 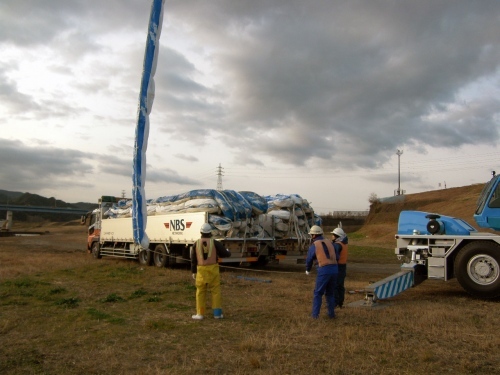 When unloading, It will be in a location that can be easily carrying, loading, assembly. It is also an ideal location close to the installation site. 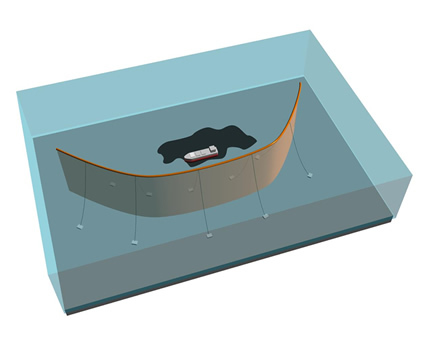 After unloading, temporarily arranged in a way that conforms with specifications, confirm match with design value, etc for the acceptance of the final stage. 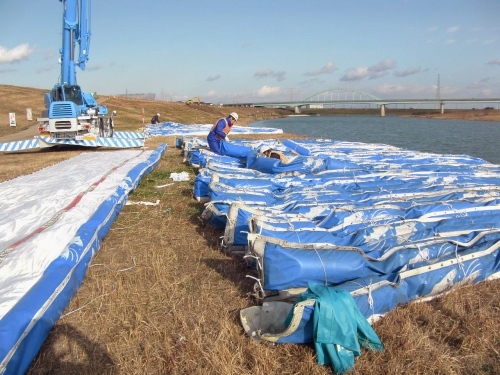 After unloading, We conducted formal arrangement in line with the specification and verification of the design value, etc., the acceptance of the final stage. Pull out to sea by one span lifted by wrecker. 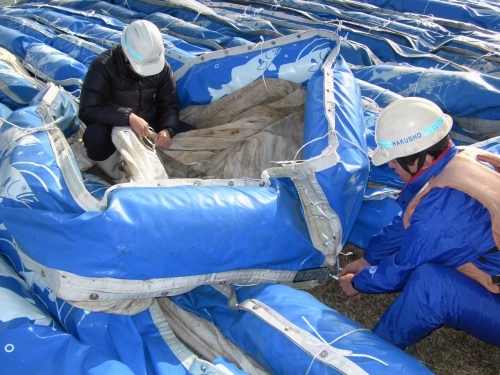 Attach the buoy buffer and anchor rope. We will complete the laying to open the curtain. Copyright © 2007-2019 HAKUSHO All Rights Reserved.